Much misinformation has been spread about Mormon ritual, especially temple ritual. Because of this, the truth about Mormon rites is necessarily an anti-climax. 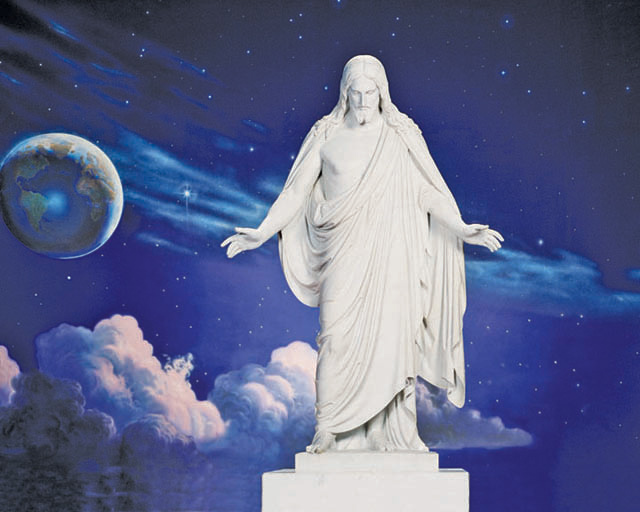 Mormonism is centered on Christ, and is all about righteousness. Mormon ritual is serious and calm, sane and temperate. After the sacrament is blessed and passed to the congregation the bishop goes to the podium and outlines the procedings of the sacrament meeting. On the first Sunday of the month, members fast and donate the value of the meals they have missed to the poor. On that Sunday, members who desire to do so will rise and go to the podium to “bear testimony” that Jesus is the Christ and other gospel truths and their meaning in the life of the members. On other Sundays, there are assigned speakers chosen from the youth, and the male and female adult members of the ward. Sometimes a representative from the stake (an organized group of wards) will speak. Subject matter of the “talks” is chosen and assigned after prayer and consideration of the needs of the membership. Periodically, “conferences” are organized. Stake conference is scheduled twice each year. Usually there is an adult meeting on Saturday night, a leadership meeting early Sunday morning, and a two-hour meeting of the membership on Sunday. Sometimes the stake population is so large, that two sessions are scheduled and the ward membership divided among the two sessions. Twice each year, in April and October, a “General Conference” is held in Salt Lake City, with two sessions plus a priesthood session on Saturday, and two sessions on Sunday. General Conference is broadcast all over the world, giving Mormons an opportunity to hear their prophet and apostles, plus members of the Seventy speak. Like other faiths, Mormonism has rituals that mark one’s progress through life and become milestones of faith and maturity. The first is called a “baby blessing,” and is similar to the Jewish brit mila. Parents choose when the baby blessing takes place, but they usually wait a few weeks after birth when it is healthy for the baby to be out in public. The baby blessing can be planned for the beginning of a sacrament meeting, or can be held at home, as long as the bishop is present. If held in church, it is most common to hold the blessing at the beginning of a “fast and testimony meeting” the first Sunday of the month. The blessing is offered by a holder of the Holy Melchizedek Priesthood, the highest priesthood. 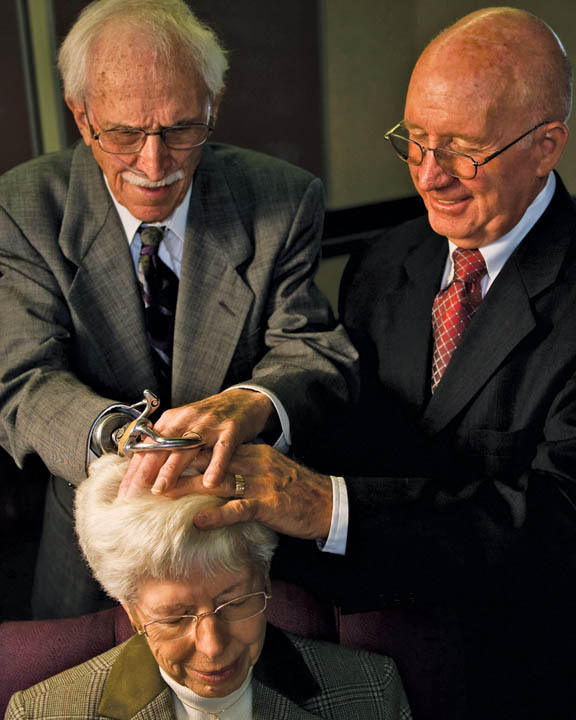 Remember that Mormonism has a lay clergy, so most men and older boys hold the priesthood at some level, so often the person giving the blessing is the infant’s father. Other priesthood holders in the extended family, and close friends who hold the priesthood are invited into the circle. The infant is held in the middle of the circle while the blessing is pronounced. The priesthood-holder invokes the name of Jesus Christ and the priesthood which he holds to give the child a name and a blessing. He then announces the name by which the child will be known “during its sojourn on the earth, and upon the records of the Church.” He then pronounces a blessing inspired by revelation from the Lord and ends in the name of Christ. The event is recorded on the records of the Church, and the family receives a certificate. The next milestone ritual is baptism. In the Mormon Church, children are baptized members of the Church at age eight. They call this “the age of accountability” — the age at which children are able to tell right from wrong and understand the process of repentance. Until then, the Lord holds their parents accountable for their actions. Just as Christ Himself was baptized, Mormons baptize by immersion for remission of sins. A priest may perform a baptism. The office of “priest” is the highest of the lower, or Aaronic, priesthood, and a worthy 16-year-old male can be a priest. The priest holds the child by the wrist and raises his right hand. He baptizes the child in “the name of the Father, and the Son, and the Holy Ghost” before laying the child down into the water. Of course, people may be baptized at any age over eight, and most converts are older. Right after baptism, there is another ritual. This is the conferrence of the Holy Ghost by the laying on of hands. A person who has been baptized into The Church of Jesus Christ of Latter-day Saints and who continues in worthiness has the right to the constant companionship of the Holy Ghost. (This is what gives worthy Mormons their light-bright appearance.) A Melchizedek Priesthood holder lays his hands upon the head of the seated child (or convert) and commands him to receive the Holy Ghost. He then pronounces a prophetic blessing upon the child or convert, which he receives by revelation from the Lord. Priesthood ordinations could also be considered milestone rituals, since the three levels of the Aaronic Priesthood — Deacon, Teacher, and Priest — are normally attained at ages 12, 14, and 16, respectively. A young man can be ordained to the Melchizedek Priesthood after age 18. (Worthy Latter-day Saint men serve missions beginning at age 19.) Children and Young Women progress through various programs in the Church, but milestones are not marked with exact rituals. Temple rituals could also be considered milestone rituals, especially since marriage is a temple ritual. Temple rituals mark our spiritual progress towards the highest heavenly kingdom of God. A person who qualifies for the highest, “Celestial,” kingdom of heaven must live a celestial law. Temple ritual actually symbolizes the progress of righteousness, as it explains the Plan of Salvation from creation to exaltation. In temple rituals, patrons covenant to keep the commandments of God in return for God’s blessings, the greatest of which is eternal life, defined as eternity in the presence of God. The first temple ritual is baptism for the dead. 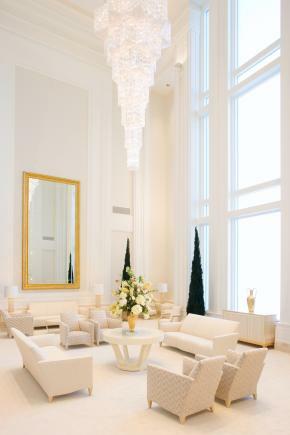 Every person who enters the temple to do temple work has already been baptized. 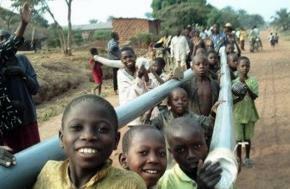 This work is solely for the deceased who have had no chance to hear the true gospel of Christ. The dead live on, and they have the same freedom of choice as they had on earth, without the encumberment of culture and ignorance. They can choose whether to accept or reject the ordinances performed in their behalf. After baptism, the proxy receives the Holy Ghost by the laying on of hands for the deceased. These ordinances can be performed by children as young as twelve, who have been interviewed by a bishop as to their worthiness. Other temple ordinances are performed once by each person for himself or herself. After that, the same ordinances (unvarying) are performed for the dead. The first ordinance is a symbolic washing and anointing. The patron is fully clothed in white, and water and oil are employed only by the drop in this symbolic ordinance, representing the washing and anointing of Aaron before he presided in the tabernacle in the wilderness. Most religions employ washings and anointings in some fashion. The symbolism is explained by temple workers in a ritualistic way — that is, the recitation is always the same, and must be recited exactly. The promise is cleanliness before the Lord. The next temple ordinance is called “the endowment.” An endowment is a gift, and this is a gift of knowledge and power and protection as a covenant child of God. The Plan of Salvation is reviewed, and patrons covenant to keep the commandments, the highest of which is the Law of Consecration, the willingness to surrender oneself to God’s service. Since everything belongs to the Lord, all we really have to offer is our will. Those who are willing may never be asked to sacrifice the way the early apostles did, but the willingness to do so is the sign of a true follower of Christ. 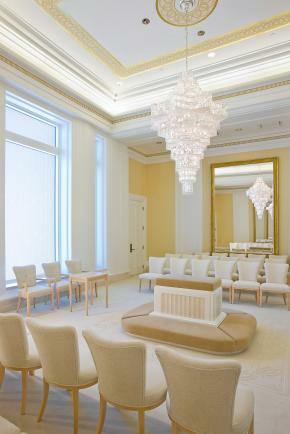 At the end of an endowment session, which lasts about 90 minutes and is always the same, temple patrons enter what is known as the “celestial room.” There, one can sit and meditate or pray. The final temple ordinance is called a “sealing.” If a sealing is for a bride and groom, then it is a marriage ceremony similar to a protestant wedding ceremony, except that the covenant is an eternal one, and not “’till death do we part.” However, sometimes the couple has already been married civilly and may already have children. In this case, the whole family comes in white and the whole family is sealed together as an eternal family unit. Friends and family who attend must also be temple-worthy and hold temple-recommends from being interviewed by their respective bishops. Therefore, everyone in the room is living according to the highest laws of God. People who are temple-worthy are active in the faith and hold no loyalties to another religious philosophy; they do not smoke, drink alcohol, coffee or tea, or use recreational drugs; they live the law of chastity (no sexual relations outside the bonds of legal, traditional marriage); they pay a full tithe (10%) to the Church; and they are honest in their dealings with their fellow-men. Any rumor that accuses Latter-day Saints of engaging in rituals that include any sort of sexual activity, or rituals that are secretive or devilish in any way, is patently false.